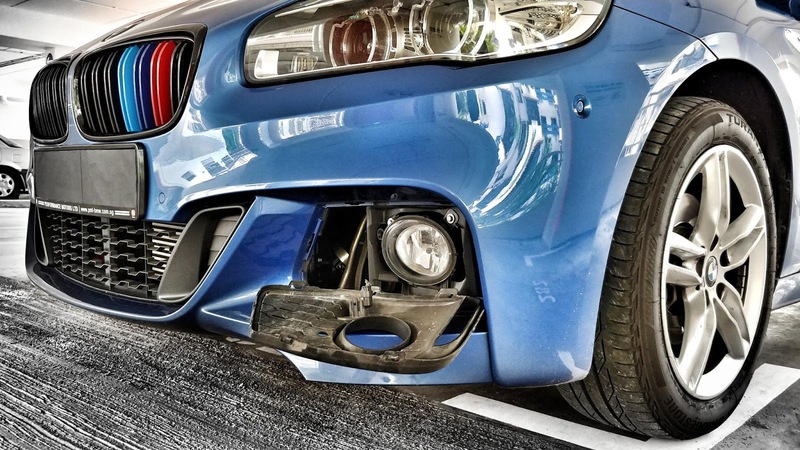 I havr been trying to find a tutorial to change the fog light for F45/F46 but to no avail. Hope this guide helps F45/F46 owners get an idea of how it is done. 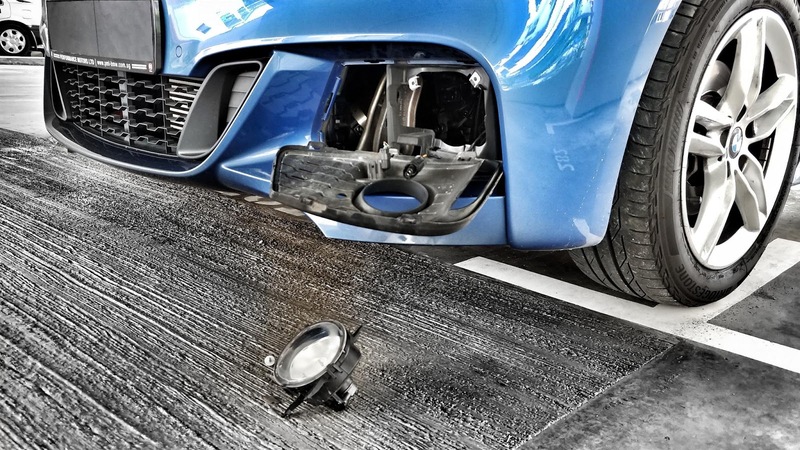 F45/F46 is unlike most Bimmers, where fog light bulb change is done through accessing from the wheel arch. F45/F46 fog light bulb change is done from the front. 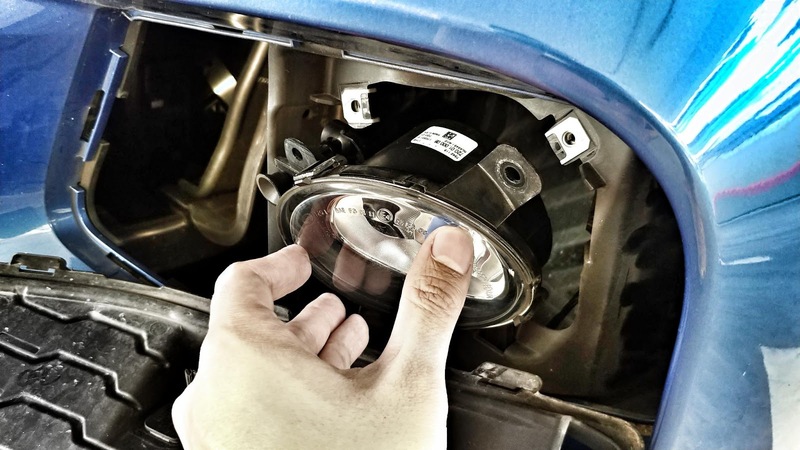 This project is a conversion of the stock yellow fog lamp to Philips Diamondvision 5000K white fog lamp. The fog lamp specifications is 12V 35W H8. Do not attempt to use H8 LED which does not have canbus canceller, otherwise F46 will give error code "Fog Lamp Failure". Locate the air vent of the fog lamp front cover. Reach your fingers in and locate a clip. 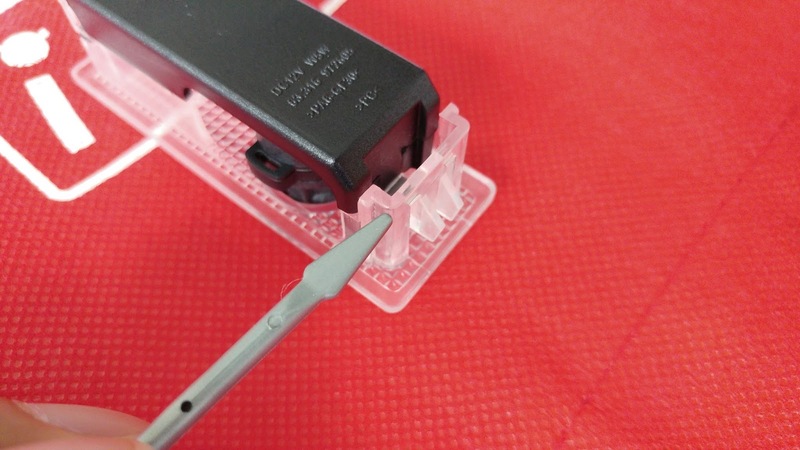 Loosen the clip and start prying open the cover. There should be 2 clips on top and 2 at the bottom. Just yank them out with brute force. Don't worry as the material is slightly soft and will not snap. Unscrew the 2 torx screws holding the fog lamp assembly. 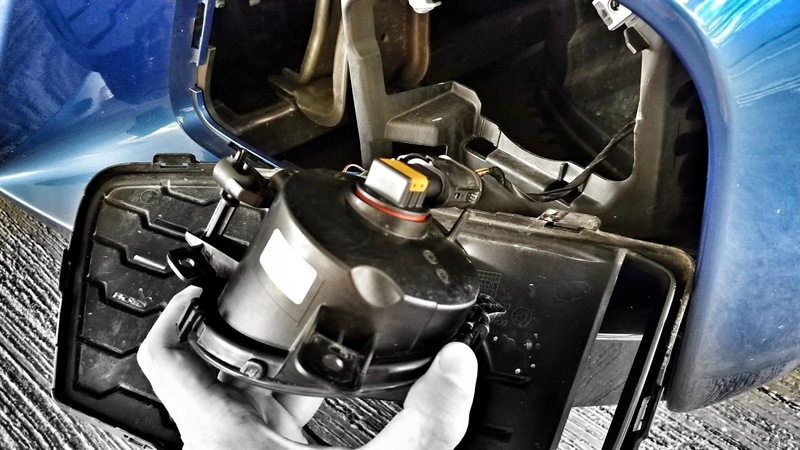 Lift out the whole fog lamp assembly. 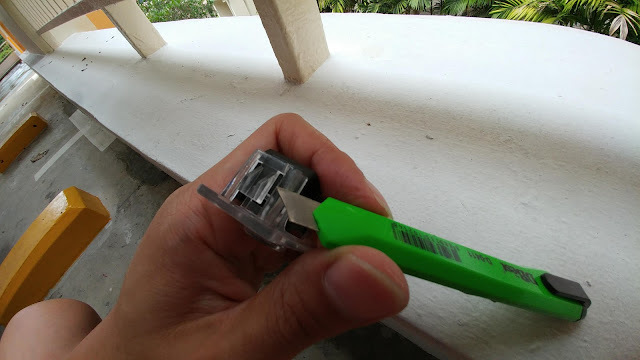 Unplug the clip connector of the power supply cable, by squeezing the sides. Dislodge the H8 bulb by turning clockwise (passenger side) and counter-clockwise (driver side). Remove the bulb by pulling it out from the rear by holding the plastic stalk. IMPORTANT NOTE: DO NOT USE BARE HANDS TO TOUCH THE QUARTZ GLASS PART OF THE BULB. THE OIL AND DIRT FROM FINGERS WILL CORRODE THE BULB PREMATURELY WHEN IT HEATS UP. Insert the new bulb in reverse order of removal. 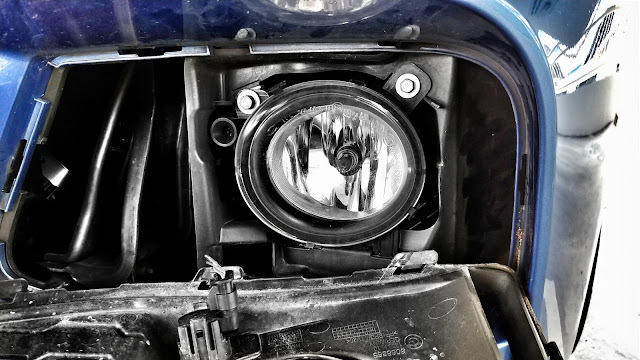 Mount the fog lamp assembly back into position and fasten on the 2 torx screws. 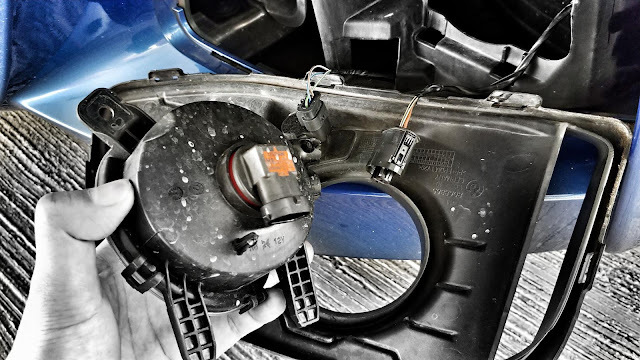 The reason why F45/F46 are different from other Bimmers in terms of fog lamp replacement is due to the driver side, where the rear of the fog lamp assembly is blocked by the washer reservoir. There is no way to access it from the wheel arch. 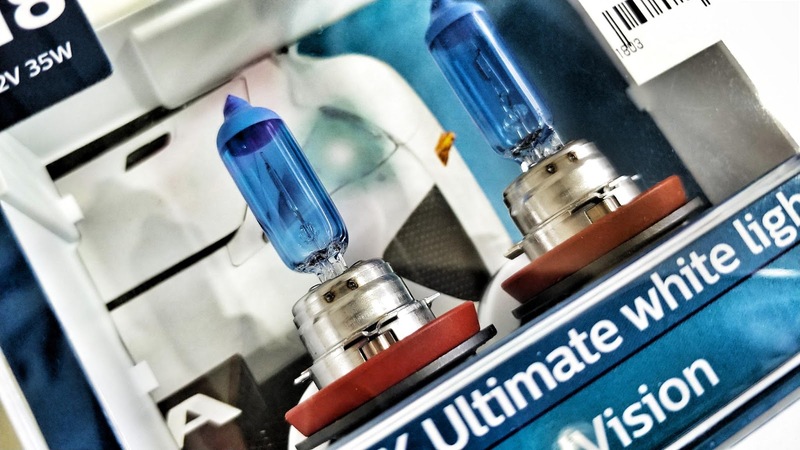 Now you can have matching white light as the headlights. 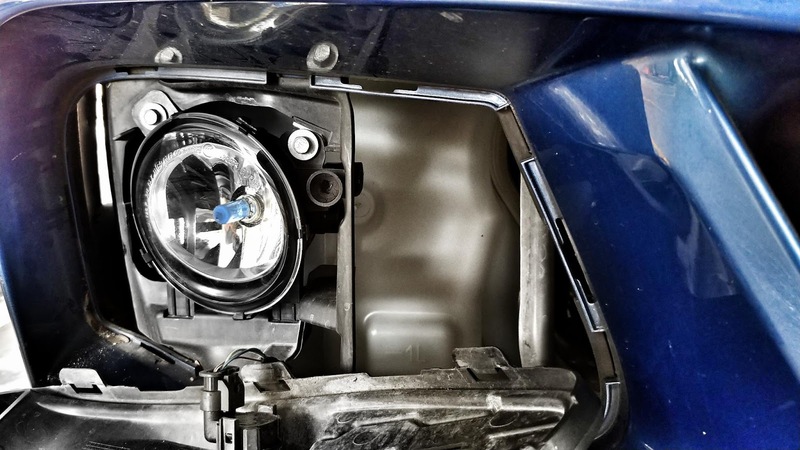 If your headlights are led like mine, 5000K fog lamp may be slightly warmer than the headlight. For a perfect match, you can try Philips X-treme Ultinon LED H8 fog lamp which illuminates at 6000K. However, you need an additional canbus canceller, because the bulb is 12V 15W and will trigger an error code. 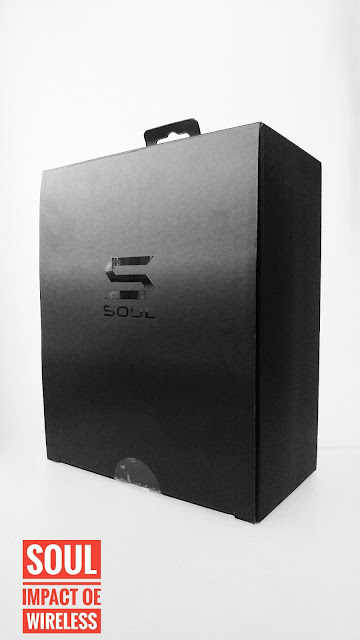 Have fun trying it out on your F45/F46! The first-ever BMW X2 has finally joined the line-up of BMW X series. 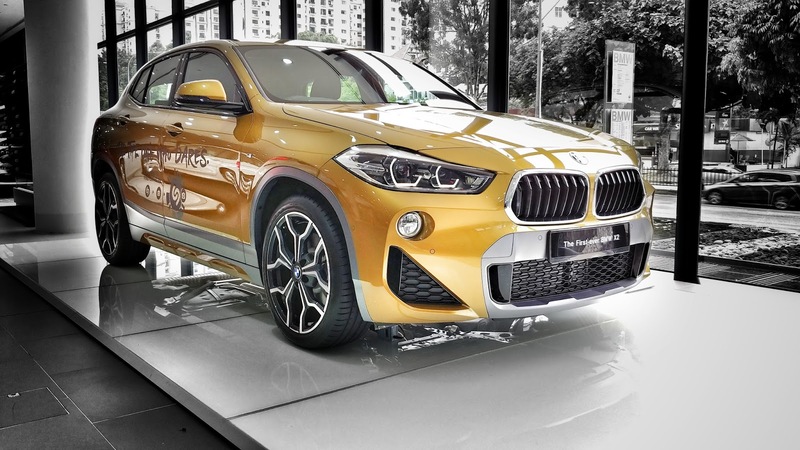 The X2 raises a few eyebrows when it was first showcased as a concept car. Eventually, the production is an exact rendition of the concept car. There are a few firsts in the X2. 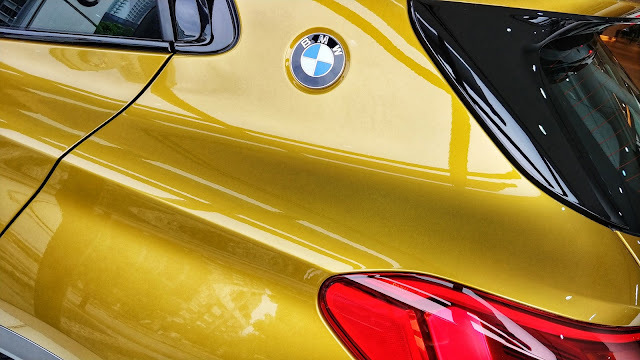 The very first mind-boggling is the nomenclature of the M Sport "X" trim, on top of the existing M Sport trim. Which we will discuss the differences later in the post. Another first is the Galvanic Gold color scheme. 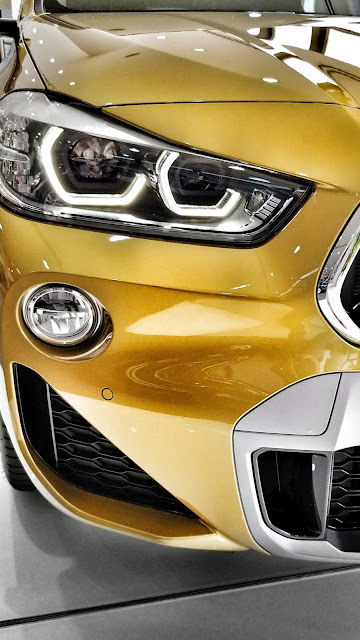 The front apron is a stark difference from the usual M Sport trim with 2 huge flanking triangles. The kidney grille has also seem to be flipped upside-down. 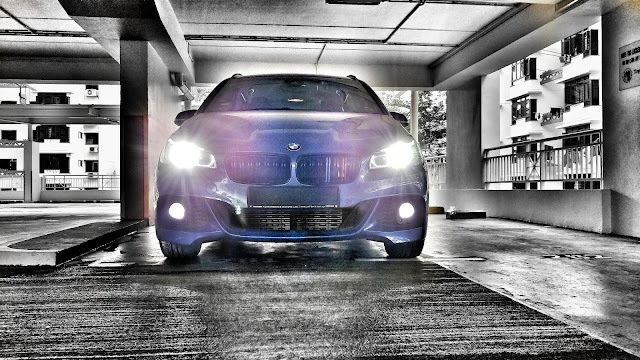 Fortunately, the X2 still retained the "6 Eyes" which is the latest X3 (G01) had dropped the round fog lights. 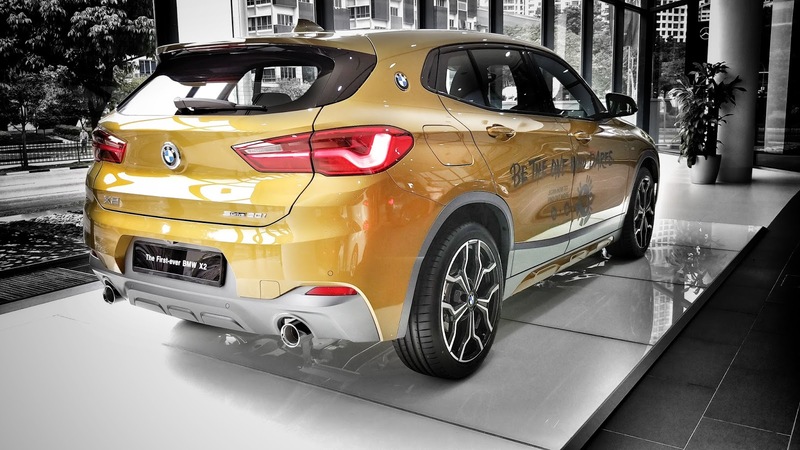 The X2 sits significantly lower than an X1, staying more true to a crossover rather than a compact SUV. Imagine GLA. The front row is a striking resemblance to the X1. 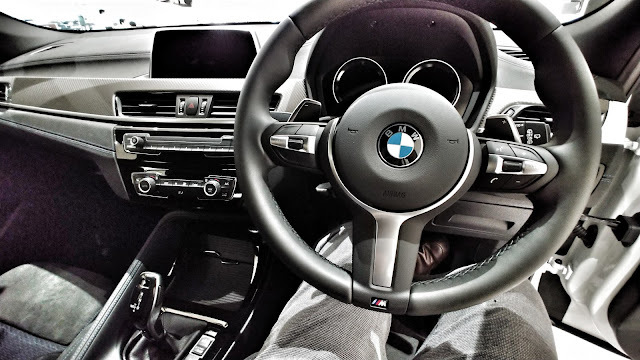 Since this is an M Sport X trim, it come with the entry-grade M Sport steering wheel, unlike the one on the new 5 series M Sport. 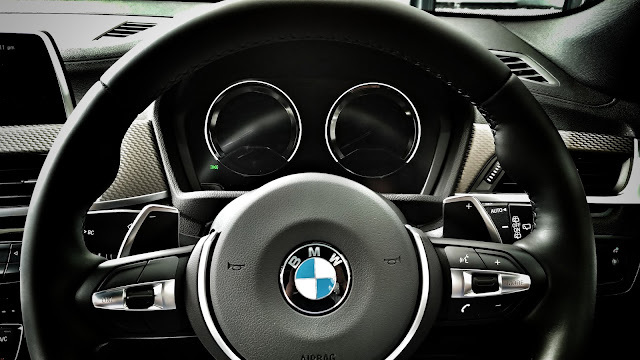 A nice addition to entry range Bimmer is the digital instrument cluster. 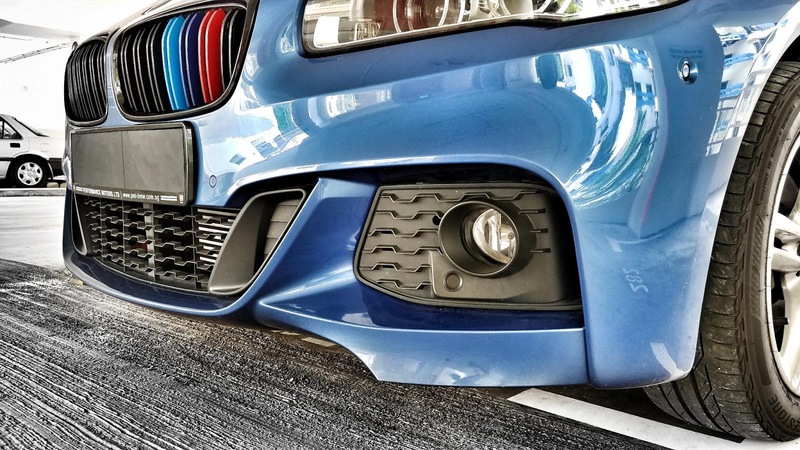 It seems that Bimmer is slowly trickling the tech down to entry models. The X2 sDrive20i is a 2.0 twinpower turbo petrol paired with a 6-speed Steptronic, allowing it to complete its century sprint in 7.7 secs. 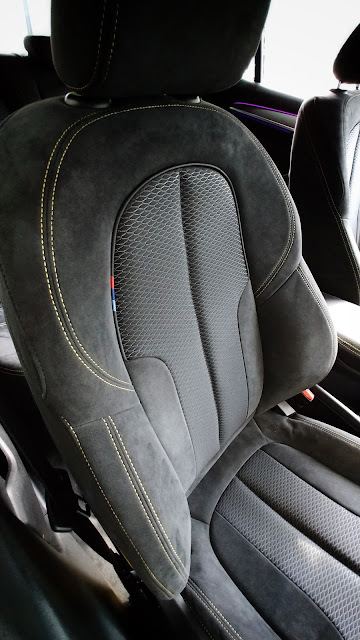 Since this is an M Sport X trim, it comes by default Cloth Hexagon/Alcantara sports seat with ///M piping. Another first for the seat is the yellow stitching to pair the Galvanic Gold paintwork. Another nice touch to interior is the violet mood light, instead of the usual amber and white. 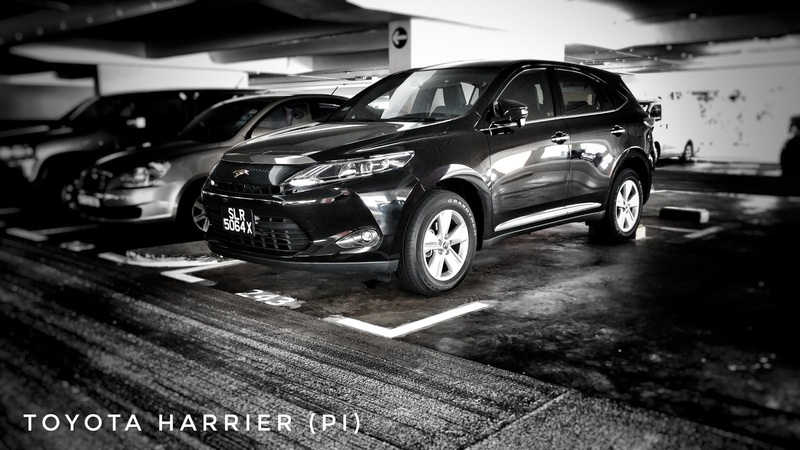 Despite being front-wheel drive like the X1, the 2nd row sits narrower. 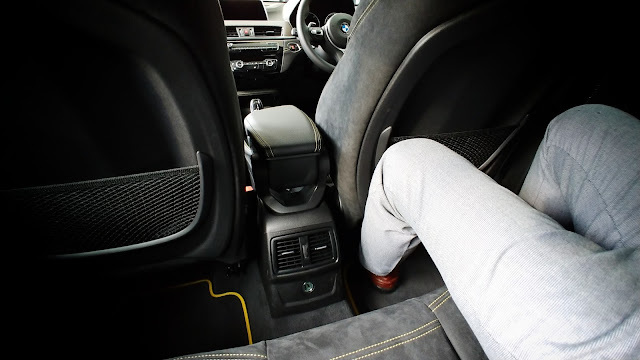 With the driver seat adjusted to my comfort, the X1 still allows me to slouch in the rear without touching the driver seat. 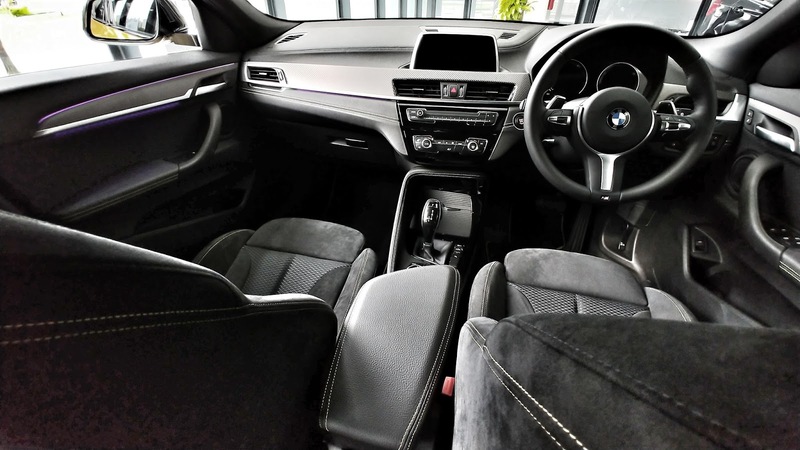 For the X2, is upright seating all the way. 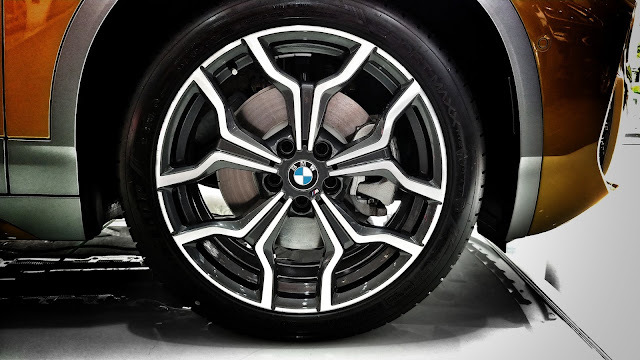 Nice rim, but I would appreciate the BMW roundel to align with the ///M logo. 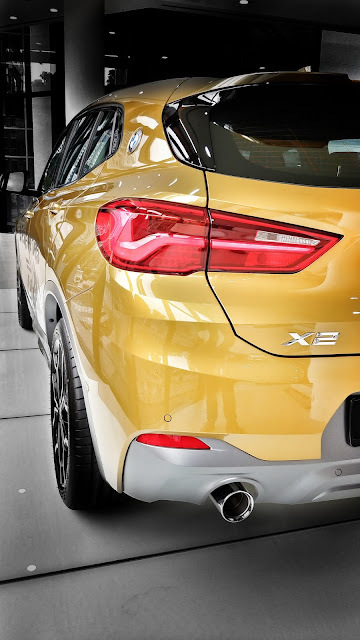 The X2 tail light with a single "L" further enhances the sporty and sleek design of the X2. Another first in a long time, BMW roundel on the C pillars. The last we see them are on classic BMW coupes. 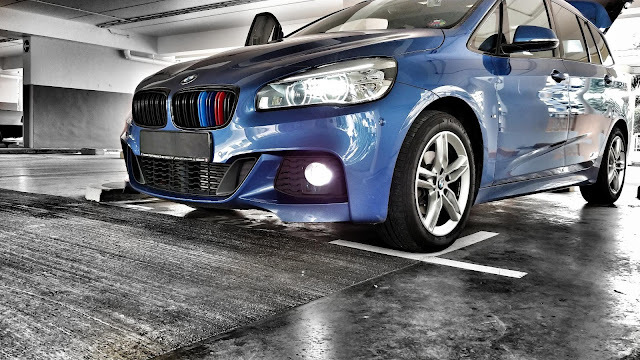 The hatch door opens up by flipping the BMW roundel, like the 1-series. The M Sport trim may sport a similar fascia to the M Sport X, but on closer examination, the front apron is different. Furthermore, staying true to M Sport trims, even for other X series models, there are no black trims around the wheel arches and side skirts. 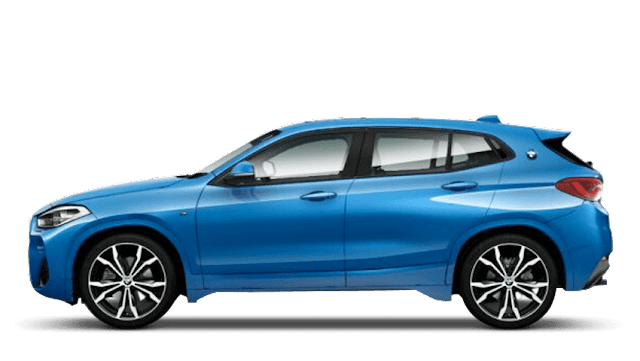 Without the black trims that makes and SUV look like an SUV, and with the stretched coupe-style roof line, the side profile of the X2 M Sport can easily be mistaken for a 1-series M Sport. 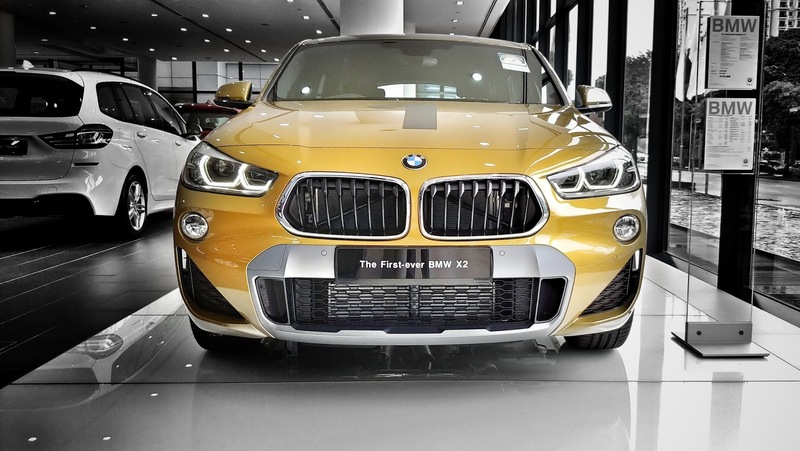 As of today, the X2 M Sport X sDrive20i is price around SGD 193K (COE: 37,300). According to the local agent, there will soon be a sDrive18i (3 cylinder, 1.5 Twinpower Turbo). With that price point, it is not hard for decide to top-up for an X3 sDrive20i (G01) or save some grands with an X1 sDrive20i. 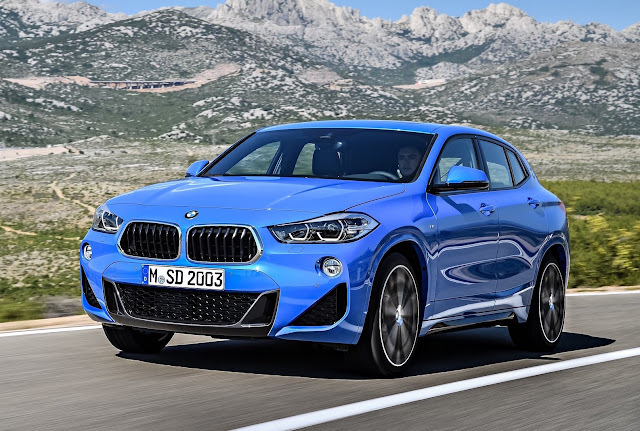 After all, both X1 and X3 are still roomier than the X2, which fundamentally, getting an SUV is for the space, which X2 is an oddity. 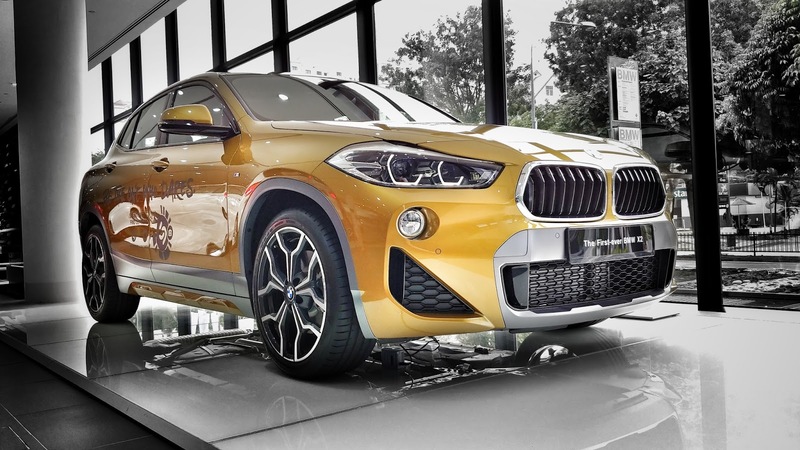 Nevertheless, it is where the X2 should fit in, a coupe-version of its "smaller" sibling, in this case, X1, just like how X4 is to an X3, and X6 is to and X5. 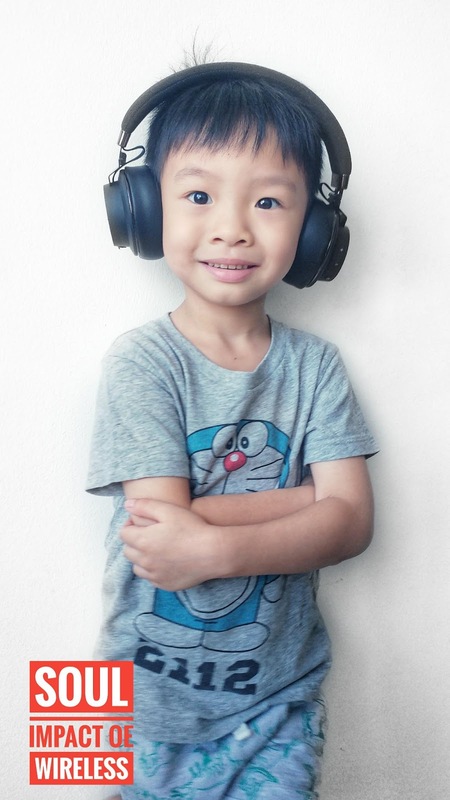 First of all, to declare that I am not an audiophile and not particular about my earphones. 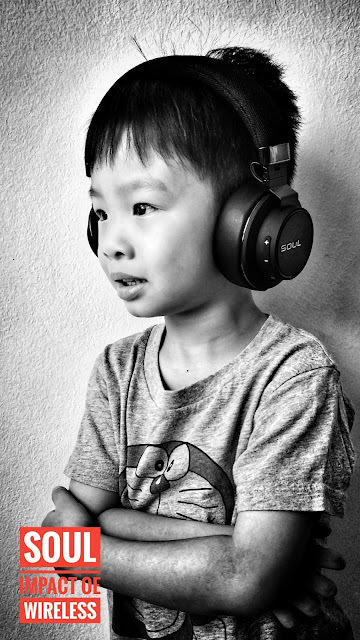 I have been living off my stock headsets that came with my mobile phones. However, that changed when I tried out a top-of-the-range Bose headphones and I heard tones and bass that I had never heard in my stock headsets from the very same device and same mp3. 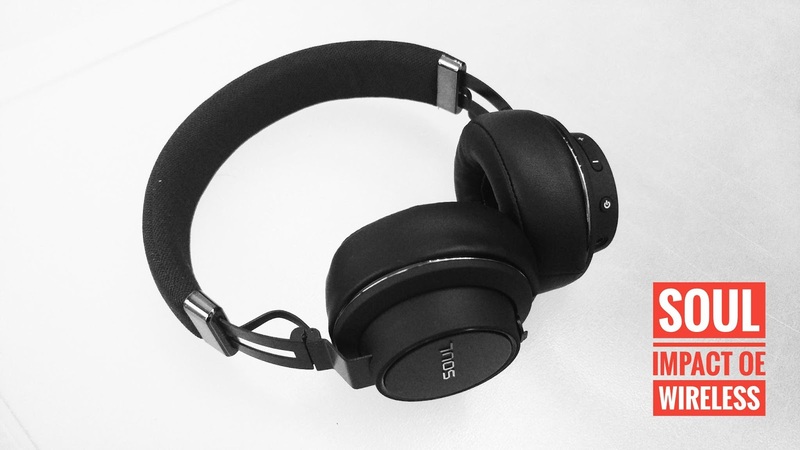 Then I started on a hunt for a set of wireless headphones for the non-audiophile. I had tried Marshall, Sennheiser, Audio-Technica, Sony, beats and JBL. 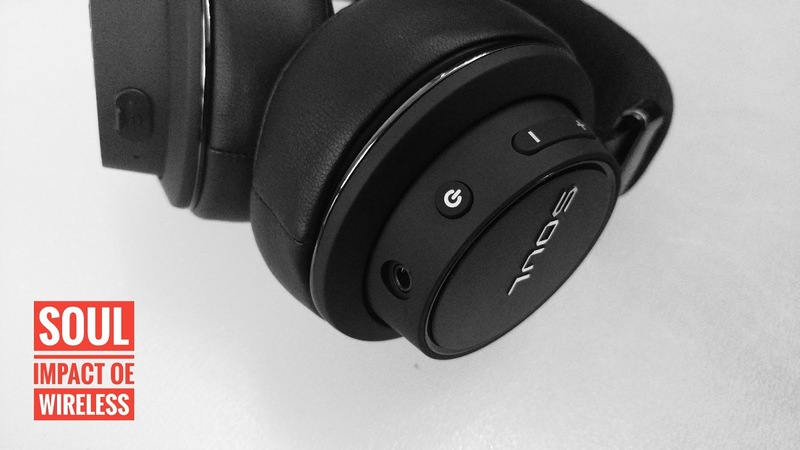 As long as price is above S$300, you can expect good sound. But that is not price I am willing to part with. 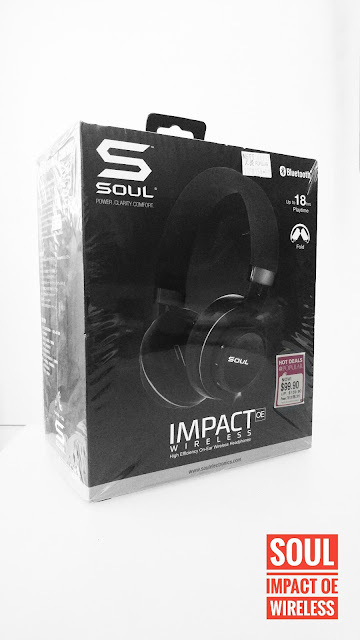 In the end, I shortlisted by budget and came down to Audio-Technica AR3BT @$133 (from $148), JBL by Harman E55BT @$145 (from $219) and SOUL Impact OE Wireless @$99.9 (from $159.9). AR3BT is close to what I was looking for but I never had the chance to properly test it. 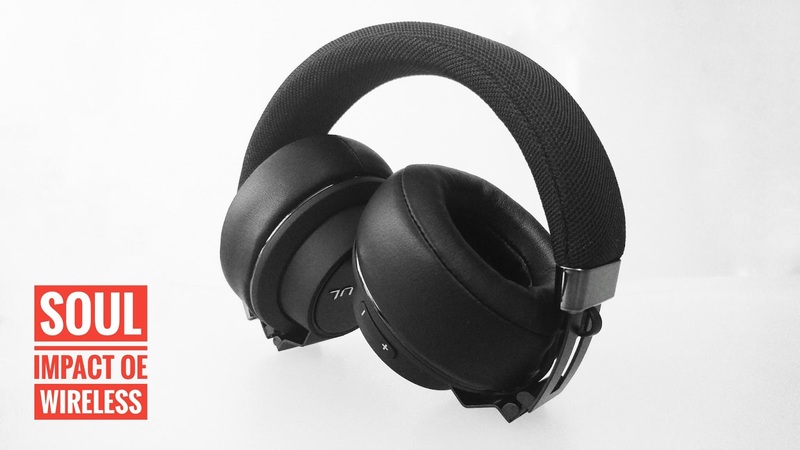 E55BT was a true disappointment as it lack bass and was unable to block off external sound. 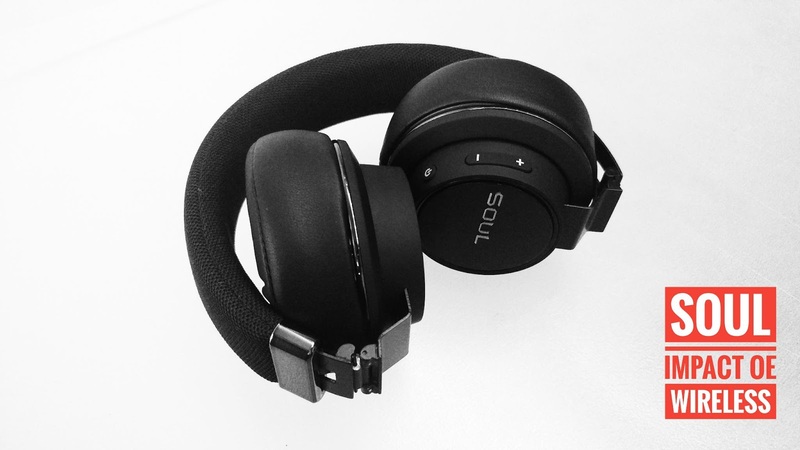 Impact OE Wireless came out surprisingly great with the bass, noise-blocking (not active noise-cancellation), fitting and of course price. Micro-USB charging port on the left pod. The fiddly rubber cover is something that I doubt will last long. On the right pod, Power button activates play and pause. Volume buttons serves to skip tracks. 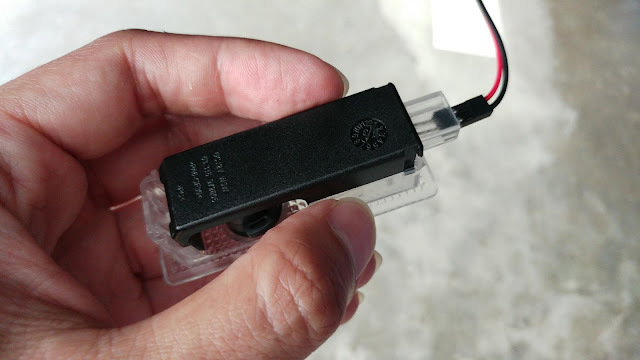 There is an aux port for wired connection when the battery is out. 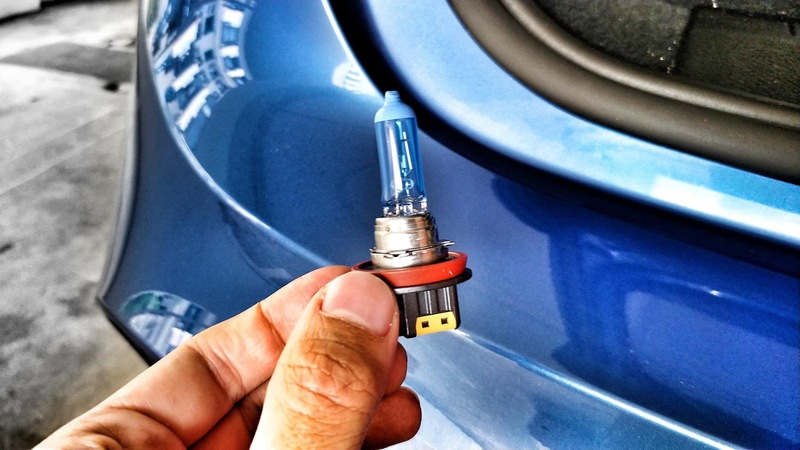 Hidden inside the aux port is a blue/red led status indicator. 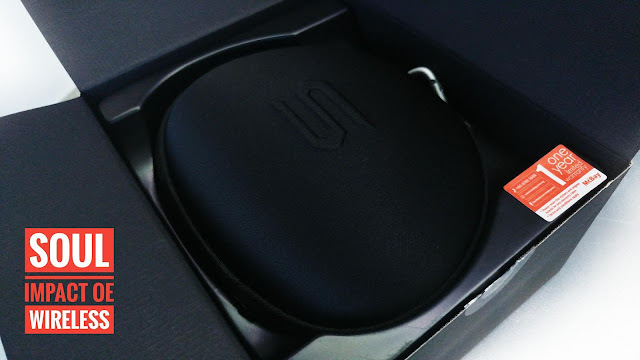 Another reason I chose SOUL Impact OE Wireless is the carry case with carabiner inclusive. The package comes with micro-USB cable for charging and aux cable. The micro-USB is shorter than a metre, so I would rather use one that 3rd party cable. Charging takes 2 hours and wireless operation is not available during charging. 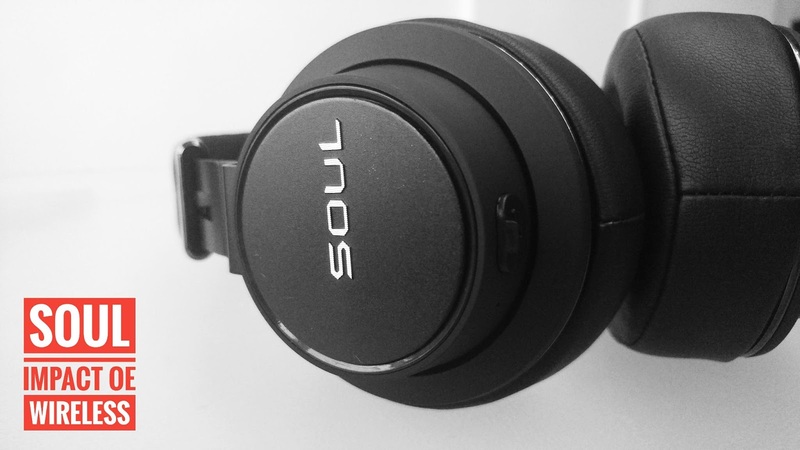 SOUL Impact OE Wireless promises 18h of bluetooth wireless operation on full charge. Checking of battery life is available only when connected to iOS devices. 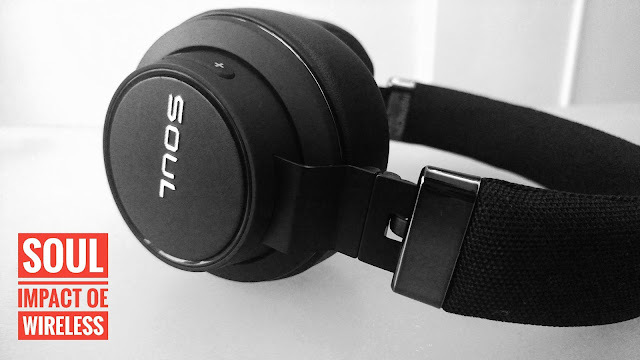 At $99.90, the SOUL Impact OE Wireless is a bluetooth wireless headphones that delivers good quality sound that brings out the life from the jazz playlist. 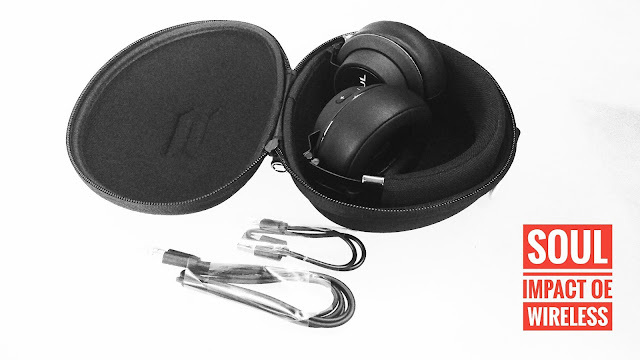 I would recommend this headphones to any novice non-audiophile who wants to enjoy the music in a cord-free style. 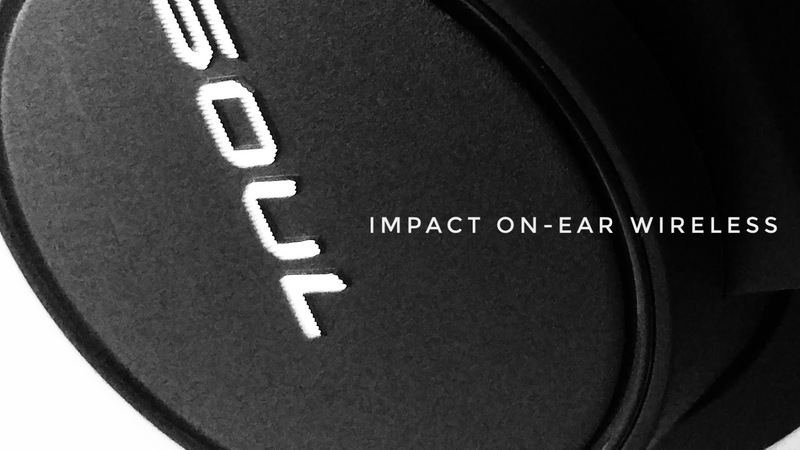 For those who are always on-the-go, SOUL Impact OE Wireless is also a headset that comes with a built-in microphone for making calls. How did Borneo killed the Harrier? Toyota Harrier has always been has always been hailed as a premium Toyota and closet in terms of build quality, to its Lexus RX cousin. So what is so great about the new Harrier Turbo compared to its NA brothers that have long been a common sight on our roads? I have 7 reasons to mark my disappointment for this highly anticipated model. 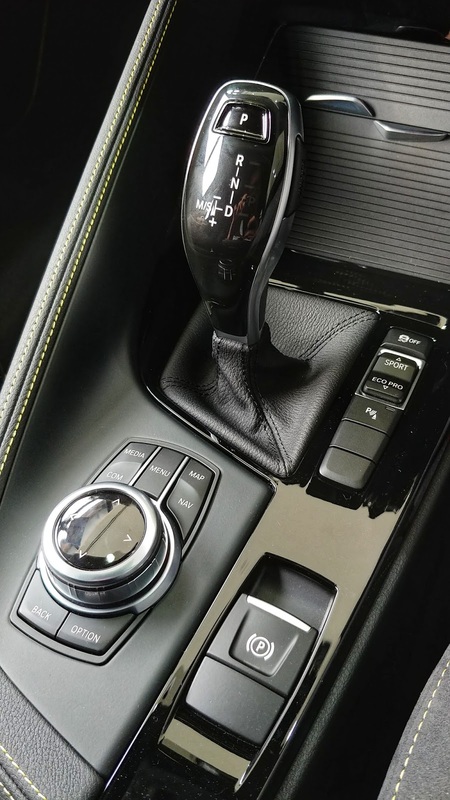 Harrier Turbo paired with its 6 speed AT just didnt pack any omph and feels a drag to reach the speed that most Turbo easily shoots to. From the lights, I was like anticipating a sudden pull and shoot off at 1650rpm but I was waiting... waiting... waiting...*yawn* and wait I'm already at 80km/h! It puts the Lexus NX200t to shame when quoting the same engine. In a bid to maximise margins, both Elegance and Premium grade are decked in PVC door trims and seats are wrapped in PVC and ultrasuede. Only the 170K Luxury, comes with Nappa leather seat that honestly do not feel premium. Any PI version wins hands down! 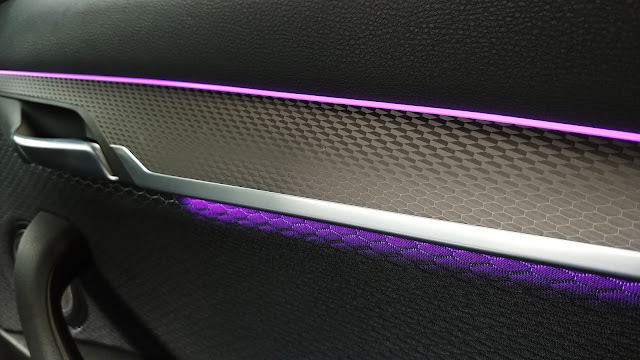 Who uses PVC these days and moreover in a $150K car!? Any local fitted leather wins hands down too! The local fitted Toyota HU is disconnected from the car. For any car in that price range, at least one should have certain connectivity with the on-board computer. My impression of Harrier has always been needing to climb up. Harrier Turbo somehow feels lowered compared to the usual PI versions. Lowered may be a good thing for corners but not when the drive packs no punch. 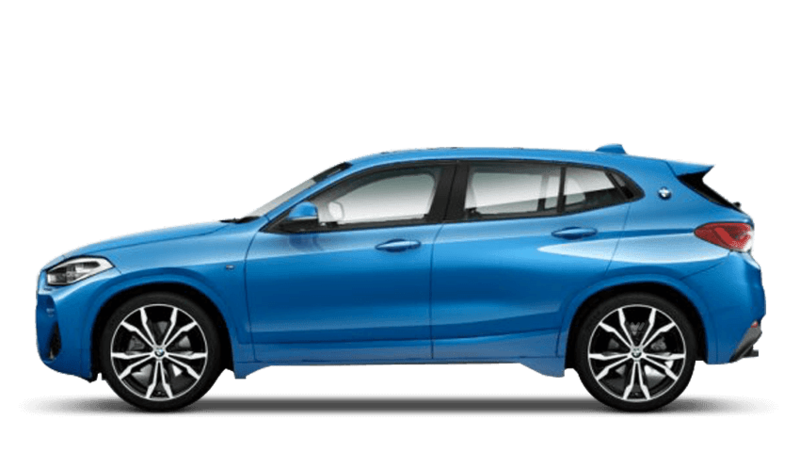 While most cars of this price comes with nifty gimmicks such as park assist (which it has but meant parking sensors/beepers), blind spot monitoring, brake assist etc. You get nothing on the Lexus Turbo. Steering wheel feels cheaper compared to its PI brethren. Although I don't fancy polished wood on steering wheels, but at least it makes the Harrier feels premium. The reverse camera paired with the local fitted HU is a big fat joke. The resolution is so bad that you cannot enough make out what you are reversing into. The biggest joke is that it lags and skips frames! That is a serious hazard issue! Saving grace for the Harrier Turbo is that the cabin is equally well insulated as its non-Turbo brethren. If buying from authorized agent gives you a peace of mind, think not twice but so many times that you will lose count because Harrier from the PI is so much more premium for a tad lower price tag, and being a long running model, it is easy getting parts and service in Singapore. Or if you really want a Harrier, ditch the Turbo and go with a PI version which is a good grab now as agents clear their non-Euro 6 compliant NA models. 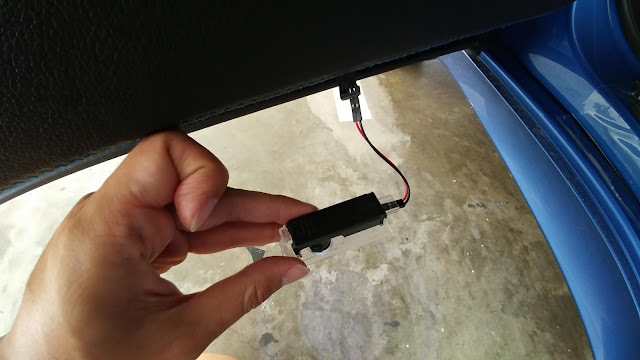 Here is a step by step guide to installation of BMW LED projector door lights purchased from Ebay/Taobao. 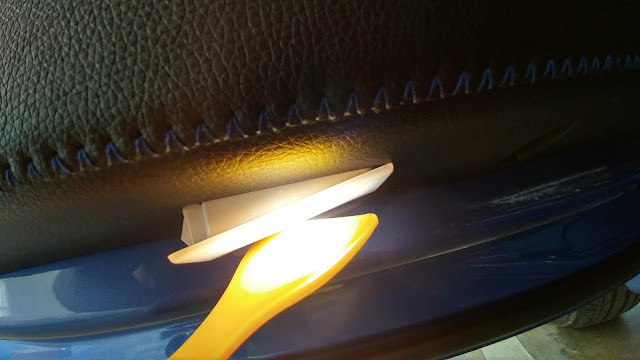 I used the above tools to faciltate the removal of the stock BMW LED door light. I used plastic to prevent damage to the housing of the stock door lights. 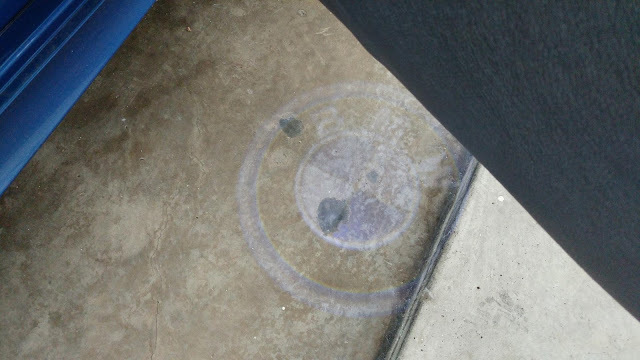 Locate the goove on the edge of the stock door light (the side nearer to the B-pillar). 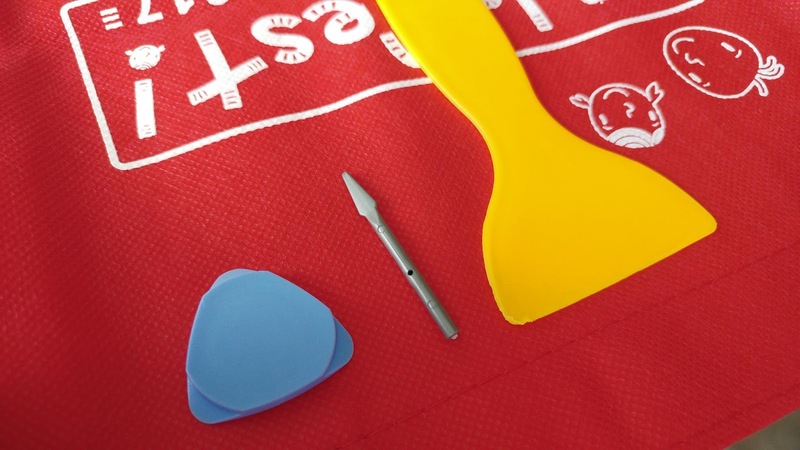 Use a plastic pry tool to pry it out. Don't worry to use some force to push the pry tool, since the door panel is a slightly soft PP material. Next, you need to prep the LED projector door light. 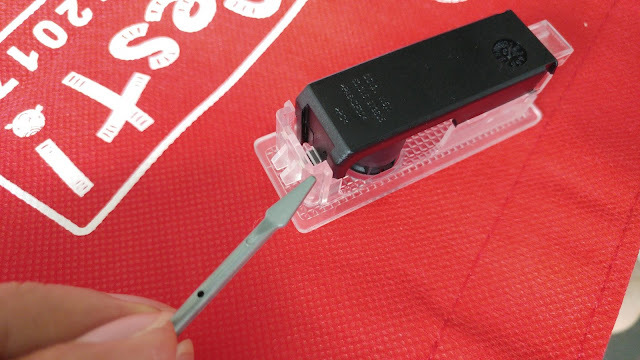 The corners of the plastic need to be "shaved off" to have a easier fit in the opening. 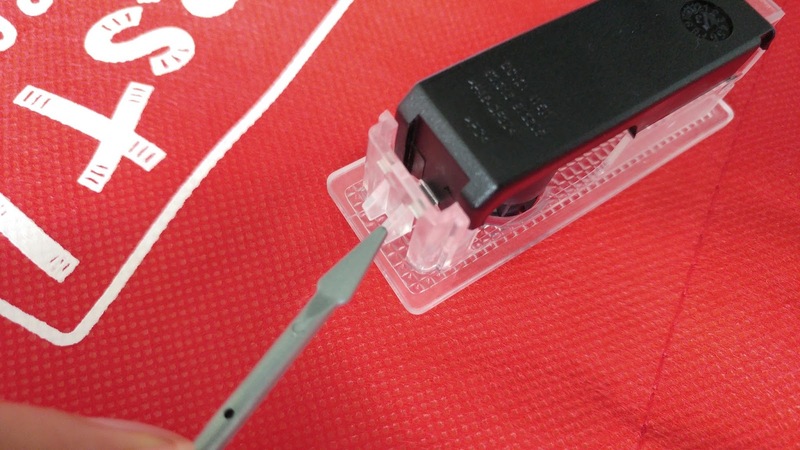 I used a pen knife to slowly shave and trim the plastic edges. 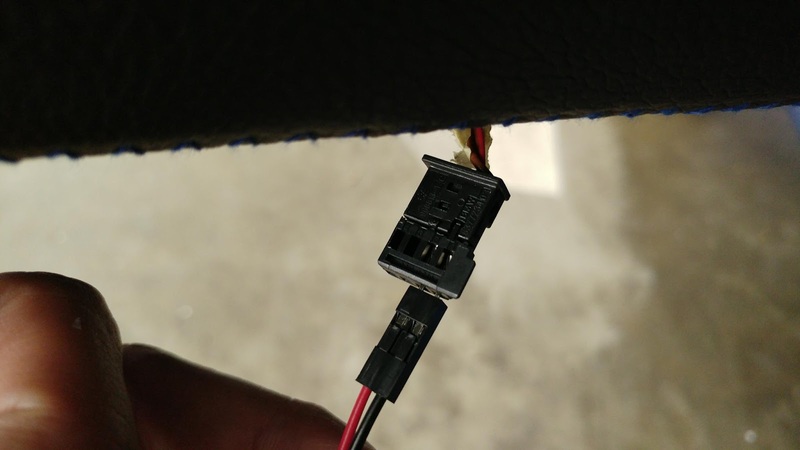 Attach the connector cable to the molex hanging from the door. 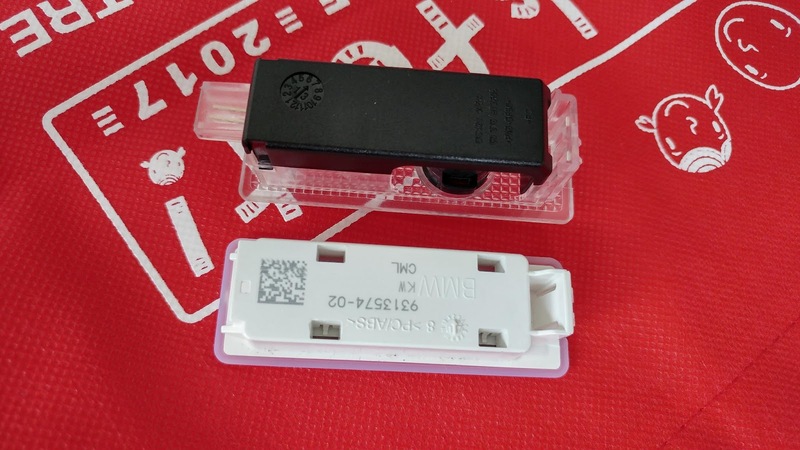 Attach the connector cable to the LED prpjector door light. Slot the LED projector door light in reverse order from removal. Prior to pushing the LED projector door light completely in, rotate the projector dial to align the projected image. Push in completely when done. Here is the original stock BMW LED door light and the LED projector door light from Taobao. Have fun and enjoy the projection of your favourite logo or image.